Louisiana Governor John Bel Edwards made an interesting observation in light of the devastating flood that has savaged his state. Because the storm lacked a name or “a brand,” it is difficult for the news media and public at large to pay attention to it. Unlike “Hurricane Katrina” or “Hurricane Sandy” this is just “the flood in Louisiana.” Every bit as serious. Every bit as deadly. Just without a memorable, catchy name with, well, hurricane-like personality. Because of that, Governor Edwards believes that the country has been sluggish in its response to the crisis or its appreciation for the seriousness of it all. 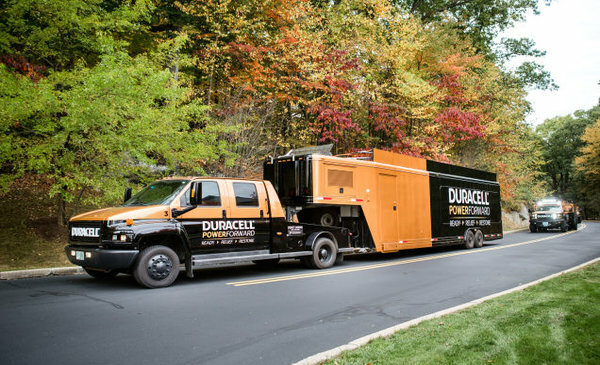 Everyone, except for brands like Tide with its Loads of Hope program and Duracell’s Power Forward deployments and others who are arriving on the scene, often in advance of storm relief, to distribute free product and bring comfort to the distressed. These First Responder Brands are providing an invaluable service as good corporate citizens and underscoring the increasing impact brands can have in our lives. But could brands in the context of disaster relief do even more? We are a culture of brands. We think brand. We are motivated by brand. We assess by brand. This is where over 200 years of free enterprise will get you so it’s time we all get on board. I propose taking Governor Edwards’ epiphany to heart because he’s onto something. I suggest the National Weather Service be charged with the additional responsibility of naming storms like the one that hit Louisiana. Or wildfires or mudslides in California. Or blizzards in Minnesota. Once the natural disaster is deemed a disaster, the NWS wires out a press release with the (brand) name. I guarantee adoption of the name will be universal by every news outlet within minutes. After that, the NWS should create an advertising budget for each branded disaster to sponsor segments on the Weather Channel, again to create awareness and concern for its disaster brand and solicitation of funds. Social media platforms could also be created to solicit relief contributions. And all of this could be sponsored by the Tide’s and Duracell’s of the world. Sound crazy? Not really. Brands drive marketing and marketing generates dollars. When a disaster like this one strikes, millions are hurting and funds are in short supply. Are we so above it all not to think a little outside the box in order to generate the dollars needed to clean up and rebuild? In a media-rich environment where it’s estimated each of us are exposed to thousands of marketing messages each and every day, should we not seriously consider the insight expressed by Governor Edwards with regard to branding? Everyone and everything is competing for our attention. It’s time to get creative and put a little brand-power to work for the next calamity. Interesting perspective. I think what you’re actually discussing is branding crises in order to activate what may become a new class of responder brands.